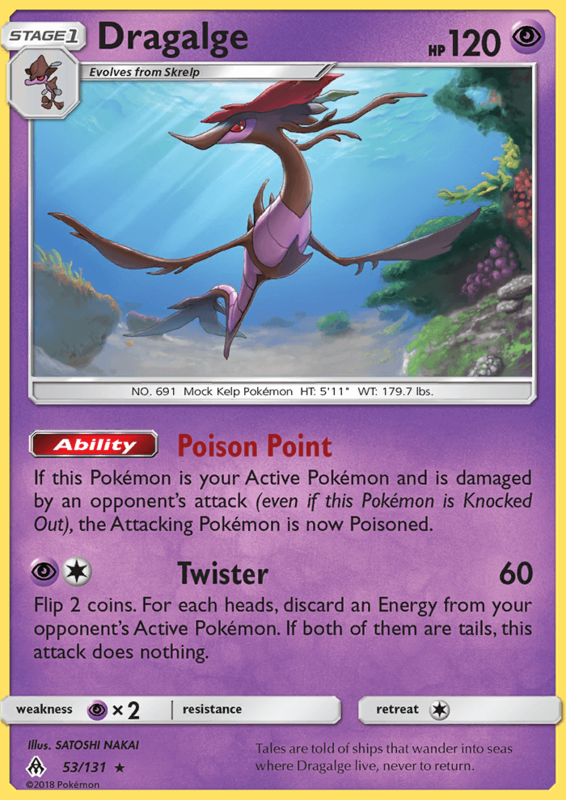 If this Pokémon is your Active Pokémon and is damaged by an opponent’s attack (even if this Pokémon is Knocked Out), the Attacking Pokémon is now Poisoned. Flip 2 coins. For each heads, discard an Energy from your opponent’s Active Pokémon. If both of them are tails, this attack does nothing. Tales are told of ships that wander into seas where Dragalge live, never to return.